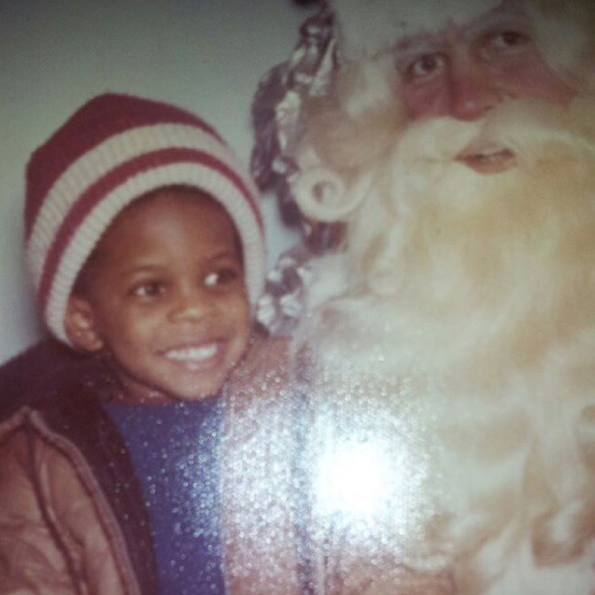 Alright, now that we got that outta our system, the kid on Santa’s lap was 90’s singer Case, best known for his hits, “Touch Me, Tease Me,” “Happily Ever After,” and “Missing You.” Every last one of those joints were 90’s classics! And Case is still making music and performing regularly to this day. A hand clap and an old school fist bump to everybody who got this one right! In an interview with KissFM radio host, Lenny Greene, Case revealed that he had to take a break from the music industry because of a 2002 incident where he accidentally shot himself in the throat. “Take all the precautions and check it. Make sure everything’s everything. Hindsight is 20/20, but I made sure I didn’t aim anywhere near Plaxico [Burress] aimed. […] “I’m not even messing with that,” Case said.